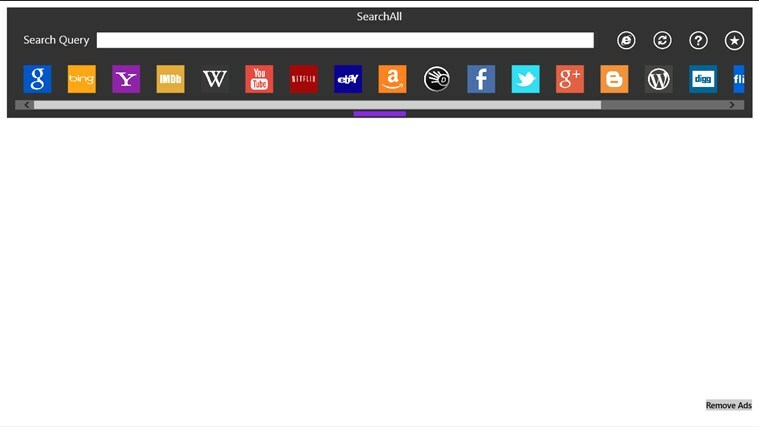 Search All is a Windows 8 app that aims to help you search for a website with multiple engines. Instead of opening all the search pages in your browser you can simply type the keyword in the main window and select a search engine from the toolbar. The results are displayed in the main window and you can open any of them in order to read the webpage.